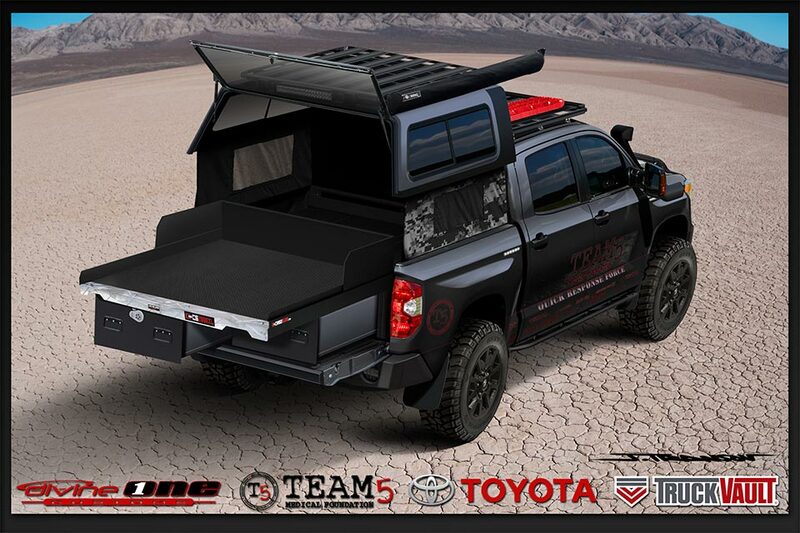 The Team 5 "Quick Response Force" Tundra began from followers asking why we don't do more missions stateside. The biggest roadblock was transportation and the right equipment. After speaking with our Ambassador Sgt. Dakota Meyer, a CMH recipient who is also part of the Hire Our Heroes program with Toyota, he put in a request on our behalf. 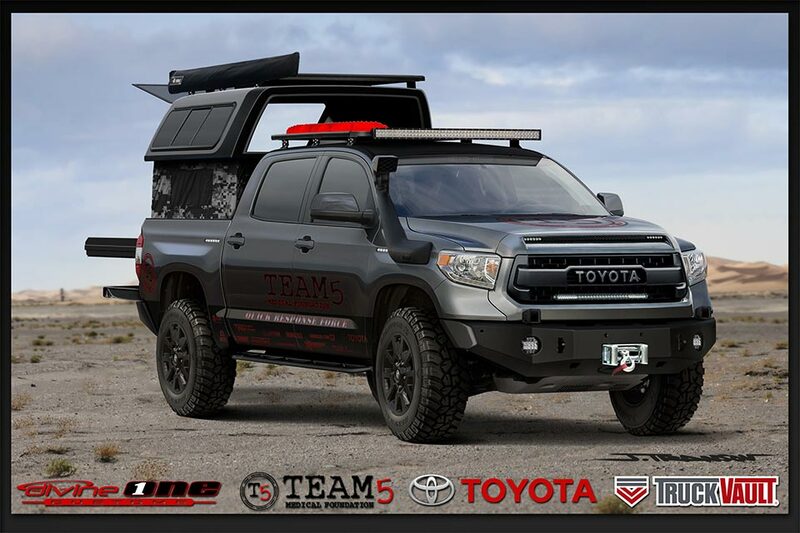 Toyota was quick to respond and donate a 2016 Toyota Tundra Platinum with a TRD PRO package. When this happened the ball began to roll, and all these incredible sponsors came on board to assist us with building a very unique vehicle that can tackle just about any situation for disaster response. This build includes gear from North American Rescue, Hurst Tools, Winkler Knives and Vetter Bags. 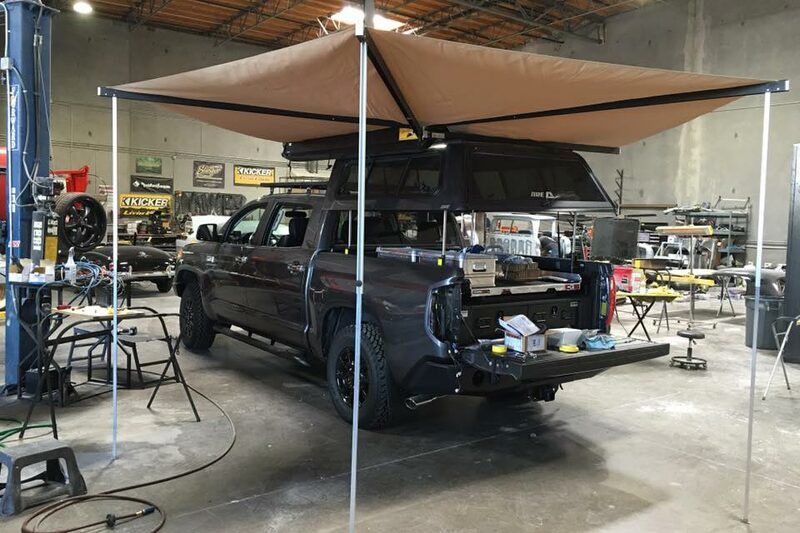 It then came down to building this vehicle so it can get to hard to reach places by adding an Icon suspension, General Tires, a Warn winch which is held by an Expedition One bumper and roof racks by Equipment Expedition Outfillers. We were able to light up this project with Vision X by adding over 10 different lighting options and an IR for our night vision. Our concept: When there is a disaster we will deploy the QRF from Las Vegas with 1-2 members. Other members will be flown to the site and meet up with the QRF. The team will be outfitted with all gear needed for the mission including personal safety gear, tents, sleeping bags, dehydrated food, clean water and so on. This truck will have limitless uses... and having Special Forces Medical Members running the mission with years of experience and training, the results will be very impressive. Follow the build and meet up with us in the field when we have expos and missions... This vehicle will save lives!